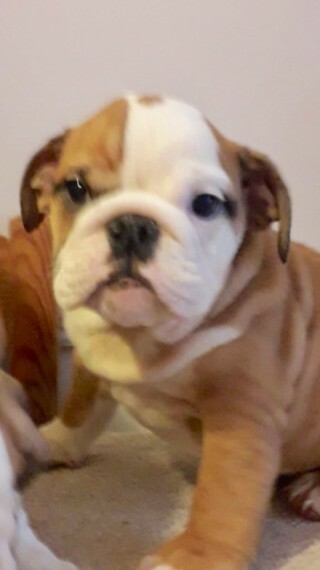 For sale I have left 4 of my stunning litter of 7 English Bulldogs. They are all short and chunky true to type reared in our family home with no expense spared. They have a excellent pedigree with championship bloodlines. Sire is the famous Mystyle Manhattan. Dam is a very well bred female true to standard with a lovely gentle personality. Each dog will come with Full Kc Reg and documents A full vet check with certificate 4 weeks free insurance Vaccinations Micro chipping A gift bag containing some special doggy treats. A lifetime of support and advice if needed. MORE PICTURES ON REQUEST NO TIME WASTERS PLEASE Pups start from ..1500 Any more info please do not hesitate to contact me .